Singapore, 15 March, 2017: InstaReM has extended its outbound money transfer operations to another important market, the European Union (EU), Prajit Nanu, the co-founder of innovative fintech start-up announced at the Money20/20 Asia 2018 in Singapore today. 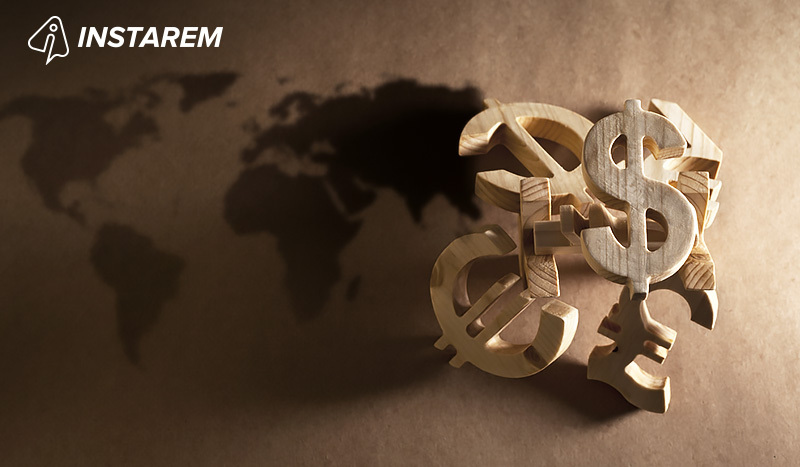 This means that individuals and businesses in member countries of the EU will be able to make convenient and inexpensive Zero-Margin FX Rate money transfers overseas with InstaReM’s online service. In EU, InstaReM’s central operational headquarter is based in Lithuania, from where InstaReM will provide money transfer services to the whole of Mainland Europe. InstaReM received the regulatory approval for its EU operations from the Bank of Lithuania in September last year. In the past five months, InstaReM has built a robust technology platform to facilitate smoother payments and service the increased volumes it is expecting as a result of this expansion. Set up in 2014, InstaReM has been disrupting international money transfer business with its innovative digital platform and Zero-Margin FX Rate model. The Electronic Money Institution (EMI) licence issued by the Bank of Lithuania allows InstaReM’s operations in the common EU market by passporting through the SEPA region. For its European operations, InstaReM plans to employ 25 Technology and Customer Service specialists in Lithuania by the end of the quarter and gradually build its team in its headquarters in Vilnius, Lithuania. InstaReM also plans to apply for a specialised bank licence from Lithuania soon. The firm plans to invest approximately 3 million euros in its European operations over the next two years. “We are quite excited to enter the European market. With InstaReM’s unique Zero-Margin FX positioning, superior platform and exceptional customer service, we are confident of capturing a substantial market share of outbound money transfers from Mainland Europe,” added Prajit. In conjunction with the launch of the European operations, InstaReM has launched its new loyalty programme for its users – InstaPoints. It works by allocating a certain number of points to reward users upon sign-up, on successful transactions and for referrals. A total of 100 InstaPoints can be redeemed per transaction as discounts on transfer fees for base currency / sending currency. InstaReM is a Singapore-headquartered cross-border payments company. Founded in 2014, InstaReM is licensed as a Money Services Business (MSB) in Singapore, Hong Kong, Australia, Malaysia, India, Canada and US. It powers local payments to more than 55+ countries across the globe. InstaReM has created a unique payment mesh in Asia, which is being leveraged by financial institutions, SMEs and individuals to make fast low-cost cross-border payments. Since starting operations in August 2015, InstaReM has raised US$ 18 million in two rounds of funding. Its investors include Global Founders Capital, Vertex Ventures (VC arm of Temasek Holdings), Fullerton Financial Holdings, GSR Ventures and SBI-FMO Emerging Asia Financial Sector Fund.